We have approximately 40 acres of pasture for our horses. They are split into many separate fields. 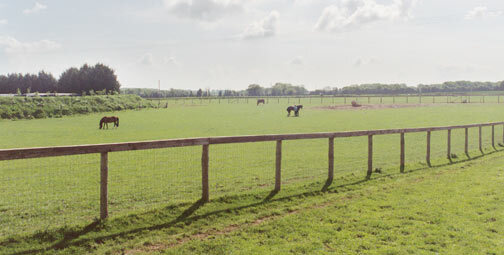 All the fields are well fenced with modern horse sympathetic fences. Some of the fields have jumps between them that we can use when required. There is also electric fencing as an added barrier. All the fields have adequate water supply. During the winter months haylage is supplied in cribs. There is a small paddock (about ½ acre) which is adjacent to the house where we can put horses that need close observation.